In a recent cross-sectional observational study, a team of researchers led by Jeremy J. Walsh (of the Healthy Active Living and Obesity Group associated with Children’s Hospital of Eastern Ontario) compared the Canadian 24 Hour Movement Guidelines for Children and Youth to current behavioral patterns and cognitive outcomes in a large sample of children in the US. Their findings, published in the Lancet Child & Adolescent Health, indicate that children who meet recommendations for screen time, physical activity, and sleep perform better on tests of cognitive ability. About half of the students in the sample met recommendations for hours of sleep per night, slightly over one-third satisfied criteria for appropriate recreational screen time, and around a fifth met recommendations for consistent physical activity. Global cognition, reflected by a variety of cognitive tasks, was found to be positively associated with the adherence to guidelines, and failure to meet recommendations across these three categories meant inferior performance on cognitive tasks. 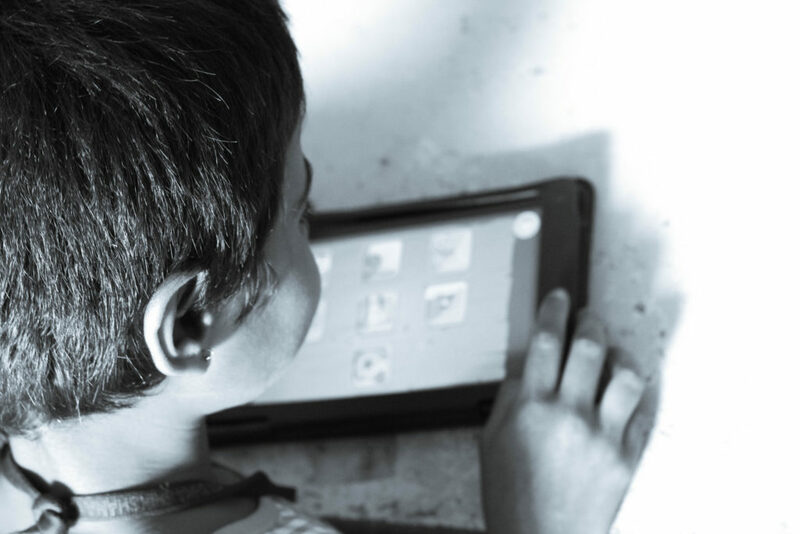 Recent years have seen an increase in research exploring relationships between screen time, social and emotional functioning, and academic performance among children and teens. One study published last year linked increased screen time to an increase in depressive symptoms among teens, and screen time has also been tied to anxiety. 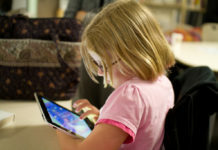 Another study linked increased screen time to “poor outcomes in physical health, academics, traffic safety, aggression, compliance, depressed mood, attention, and creative play.” If increased psychosocial and school-related outcomes are compromised by excess screen time, it stands to reason that cognitive functioning may also be impacted by TV, tablet, computer, and smartphone use. Sleep and exercise represent health behaviors that are also directly related to psychosocial, academic, and professional experiences. It is difficult to make general recommendations that are applicable throughout childhood, as many critical developmental phases necessitate different amounts of sleep, but sweet spots before adulthood seem to occur between 8 and 11 hours. 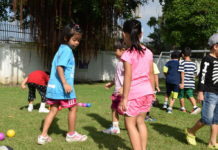 Recommendations for daily exercise in childhood, linked to decreases in depressive symptoms, ADHD-type symptoms, anxiety, psychosis, and positive academic outcomes, also vary but tend to support the notion that consistent exercise can reduce distress. To examine the unique and combined relationships between sleep, exercise, and screen time on cognitive functioning, authors used data from 21 study sites across the United States from 2016 to 2016. Participants (N = 4524) were children aged 8-11 recruited through probability sampling in both public and private schools in the US across catchment areas in proximity to study sites. Data from the current study were obtained from a larger ABCD longitudinal study ultimately intended to track health behaviors and brain development through childhood and adolescence. Health patterns and behaviors were measured via self-report, and global cognition was assessed using the National Institutes of Health (NIH) Toolbox. The NIH Toolbox measure encapsulates six cognitive domains: language abilities, episodic memory, executive function, attention, working memory, and processing speed. Secondary reflections of cognitive functioning were gathered through assessment of fluid intelligence (cognitive flexibility) and crystallized intelligence (acquired knowledge). engage in an average of four hours of recreational screen time each day. The results indicate a strong relationship between screen time, sleep, and cognitive outcomes, whereas exercise seemed to be more closely associated with health outcomes not reflected in cognition. Limitations to the current study include reliance on child self-report measures to reflect health behaviors, the potential influence of unmeasured variables not involved in the analysis on cognition, and fact that data analyzed were collected at only one time-point. Future research could assess health behaviors using techniques beyond self-report and in addition to one single cognitive assessment. While there may be more to cognitive functioning than what is reflected in global, fluid, and crystallized intelligence, the relationship between children’s day-to-day behavioral patterns and cognitive functioning identified in Walsh and colleagues’ findings is compelling. More than 50% of children are exceeding the recommended two-hour threshold for screen time, and more than 80% are not getting enough exercise. It is hard to think straight if you can’t sleep, it’s hard to think straight when you’re surrounded with distracting technology, and it’s hard to stay healthy when you lead a sedentary lifestyle. During foundational developmental phases, a combination of these three barriers can be detrimental to the thinking processes required in introspection, relationship building and maintenance, and school performance. good info….I wonder what happened to eating healthy..